Ready to bend for your beer? 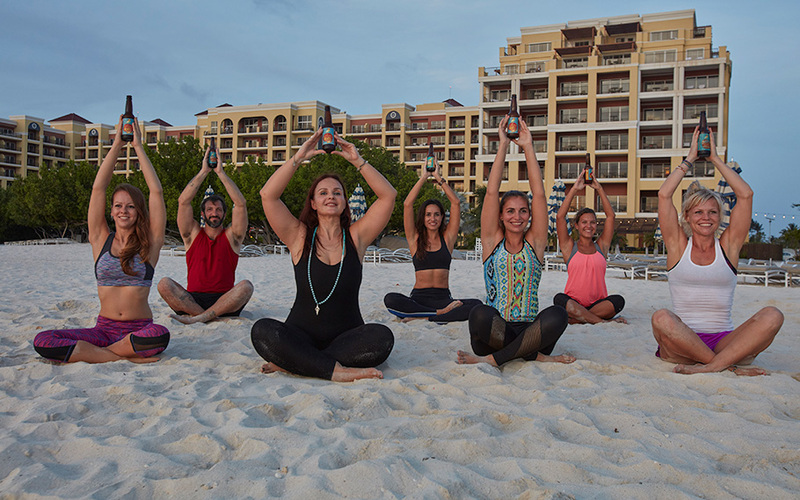 Originating in the heart of Burning Man, Vela is the first to bring Beer Yoga to the shores of Aruba. This marriage between two great loves - beer and yoga is making our One Happy Island, that much Happier! 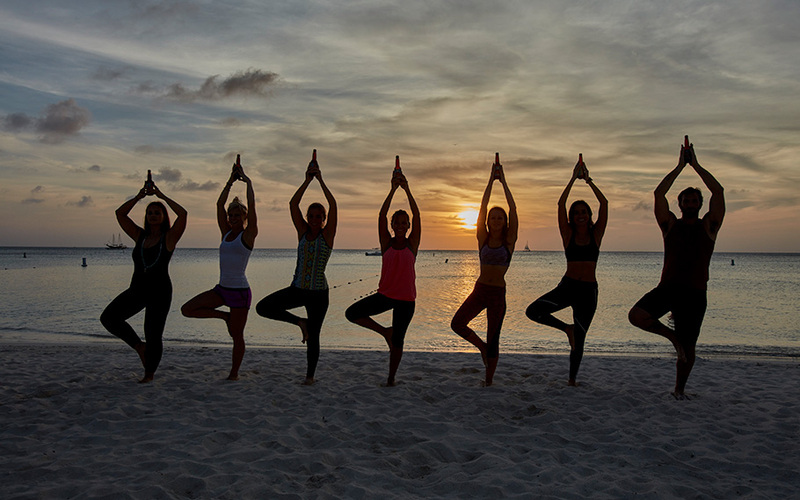 It is an excellent way to exercise, socialise and bring a little zen practice to the end of your day in paradise. Although it may sound like all fun and stretch, there is a theory to this madness. Both yoga as well as beer are century-old therapies for mind, body and soul, combining the pleasures of beer drinking with the philosophies of yoga is a fantastic journey of the senses. So whether you are an avid yogi, or have never stepped on a mat, join us for a sunset Beer Yoga session at Vela. $25 gets you two beers, yoga and some great memories! Includes two craft beers, and 1 hour sunset beach yoga session with music. 2 craft beers - sunset beach yoga session 1 hour - music Payment in advance is required. Sunset - Beach - Yoga - Beer. What else do you wish for?